Fittings for handrails. Creating the perfect handrail to suit your specifications. Trademark stair parts are a comprehensive selection of stair parts that can be mixed and matched to produce a stunning balustrade system for stairs and landings. The choice of parts means they will suit almost any configuration, so they are ideal for use with whatever individual specifications you have. 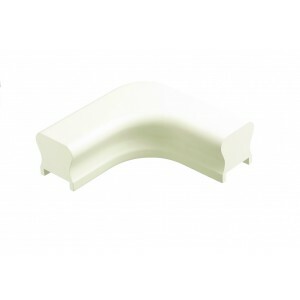 Trademark White Primed stair parts are designed for a first-class finish. The parts are already primed, saving time and money on site. They can be painted to suit your own tastes. These parts are designed so they can be mixed and matched with unpainted stair parts made with natural timber, to provide a stunning contrast and increasing your choice of stair designs. Trademark White Primed 32mm stair spindles are available in Georgian, Plain Stick and Stop Chamfer Balusters, and the Primed 41mm stair spindles are available in Colonial and Imperial balusters, as well as Plain Stick and Stop Chamfer Balusters. We recommend that you use oil based paint with these Primed stair parts, although water-based paints can be successfully used with careful preparation.